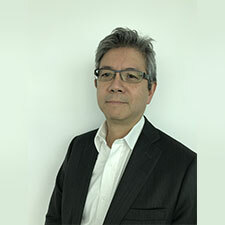 Mario is a retired Chartered Accountant with over 30 years in the finance industry, heading up internal audit and operational risk for a large international bank, where he had experience at Board and other senior executive meetings. 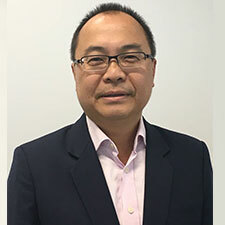 He was Asia Pacific Regional Head of Operational Risk and has led teams in Hong Kong and India. Mario has been in finance committees for a number of parishes in Sydney and has joined Positive Vibes Foundation as this affords him the opportunity to give back to the broader community. Mario is a member of the Australian Institute of Company Directors and is married with 5 grown children. He enjoys reading, philosophy, travel and keeping fit. Albert is a retired Chartered Accountant with over 30 years of experience in corporate and banking taxation. Albert was a Tax Principal at Ernst & Young before joining HSBC Bank as Head of Tax at HSBC Bank where he served for 20 years. He has corporate board experience having sat on the HSBC staff superannuation board for nearly 10 years. Albert was a fellow of the Institute of Chartered Accountants and a Chartered Tax Advisor. Married with two grown daughters Albert is passionate about using his time and professional skills to serve the community including serving as the Treasurer of his church where he was instrumental in setting up a Public Benevolent Fund and School Building Fund..
Jeanette has spent over four decades working for both Federal (Hon Philip Ruddock) and State (Hon Matt Kean MP) Parliamentarians as a Senior Electorate Officer. 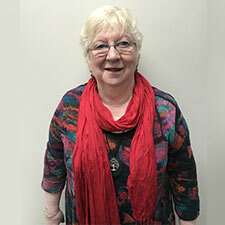 ‘While the role is extremely varied, the assistance I provide to constituents who find they have a problem involving a Government Department or authority is by far the most satisfying.’ Following a term as Alderman on Parramatta City Council, Jeanette moved to the Hills some thirty years ago and has raised her children here. In 2018 she was awarded an Order of Australia Medal for services to the community. 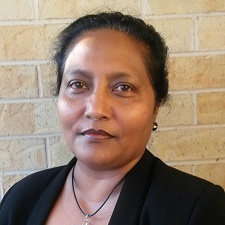 Nalika is a solicitor with Senior Rights Service since 2008, acting as Principal Solicitor in 2017, and is an appointed member of numerous multicultural and community advisory councils and committees. In 2015 she was awarded Premier’s Multicultural Medal (Stephan Kerkyasharian AO Medal). In 2019 she was named “India Club Star”, in recognition of her leadership, initiative and commitment in raising awareness and campaigning against domestic violence and elder abuse; for implementing education and training programs; and for providing legal support to empower families. Nalika is an Attorney-at-Law of the Supreme Court of Sri Lanka. 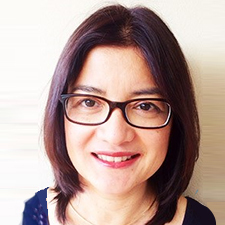 Dr Juanita Ruiz is passionate about holistic preventative health, recognising that early intervention and treatment generally improve clinical outcomes. In mental health, however, this is often delayed due to stigma. Positive Vibes Foundation strives to reduce this stigma and equip and connect people with the help and support they need. 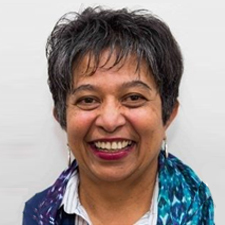 Dr Ruiz, a graduate of King’s College Hospital London, started her Australian career at the Royal Alexandra Hospital for Children and has been in general practice for 30 years. She has an interest in adolescent health, working voluntarily with Youth Off The Streets and attending youth forums at the Children’s Hospital Westmead. She is married with 5 children and a dog, and enjoys music, craft, travel and bush walking. Dr Howpage has wealth of clinical experience in all mental health issues/disorders and demonstrated ability to work with all age groups. She has a special interest in community based prevention programs and works tirelessly against the stigma attached to mental illness. Dr Howpage founded the Hills Mental health Inter Agency network group in the Hills shire and established Positive Vibes Foundation. “As the chairman of the foundation I am proud and privileged that I can work with a generous and extraordinarily good team. They will continue to have an enormous impact on the wellbeing of the community we live in. It is a very special feeling which encourages me each day passing by”. 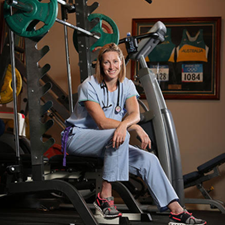 Jana is a two time World Champion, 4 x Commonwealth Champion in the sport of athletics, before she swapped the track for the ice, becoming the first Australian woman to compete in both the Summer and Winter Olympic Games. Jana is also a 4th year medical student, mum of three children, author and motivational speaker. Dr Michelle Byrne is a medical scientist by profession and holds a PhD in drug resistance in cancer cells. 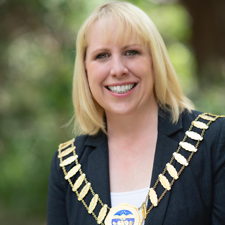 Clr Byrne studied and worked for the University of Technology Sydney for 10 years in cancer and diabetes research and committed full-time to Local Government upon her election as the youngest ever Mayor of The Hills Shire in 2012. She served as Mayor from 2012-2014, 2015/2016 prior to being elected as the first popularly elected Mayor of the Hills in September 2017. Dr Byrne is proud to be the patron of the Positive Vibes Foundation, a Hills based charity Organization dedicated to the mental health awareness based on 3 Cs’s, Communities, Connections and Conversations. Dr Byrne is dedicated to bettering the quality of life for all Hills residents and the preservation of the unique community spirit which characterises The Hills. In this respect, Clr Byrne has immersed herself in numerous local community organisations including Hills Community Aid, The Hills Mental Health Interagency, The Hills Relay for Life and The She was the founder and driving force of The Hills Winter Sleep Out and is a passionate advocate for youth, mental health and healthy living. Dr Byrne also holds a Bachelor of Laws and lives in Baulkham Hills with her husband and identical twin daughters.